This is one of those fast fizzers, so it's gone pretty much as soon as you drop it into the bath. 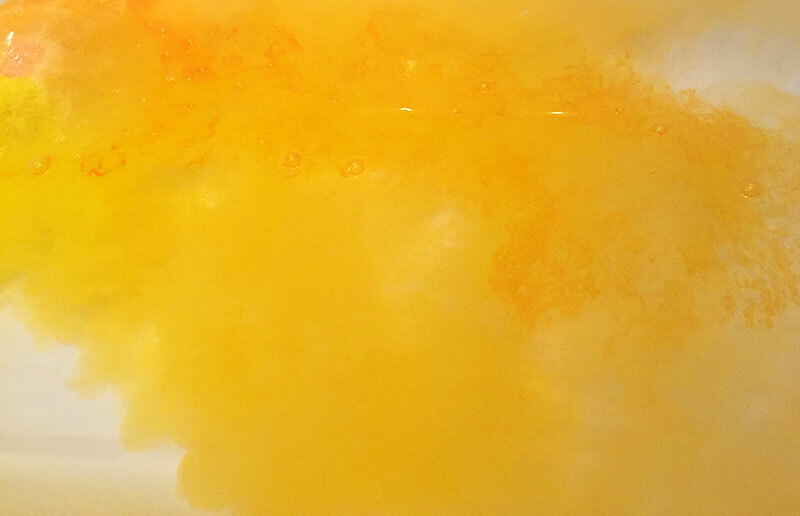 It's also not the most showy bath bomb ever as it simply dissolves into yellow with a sort of deeper orange oil residue so its really one that you have to like the smell of to enjoy. And luckily the scent remains strong throughout the bath, so you're left feeling nice and festive. My only complaint though is that damn oil because it does stain a little bit. Whilst it didn't stain my bath I found it clung to my skin and ended up staining one of my towels which means I won't be picking up another one! Thanks for reading lovelies! 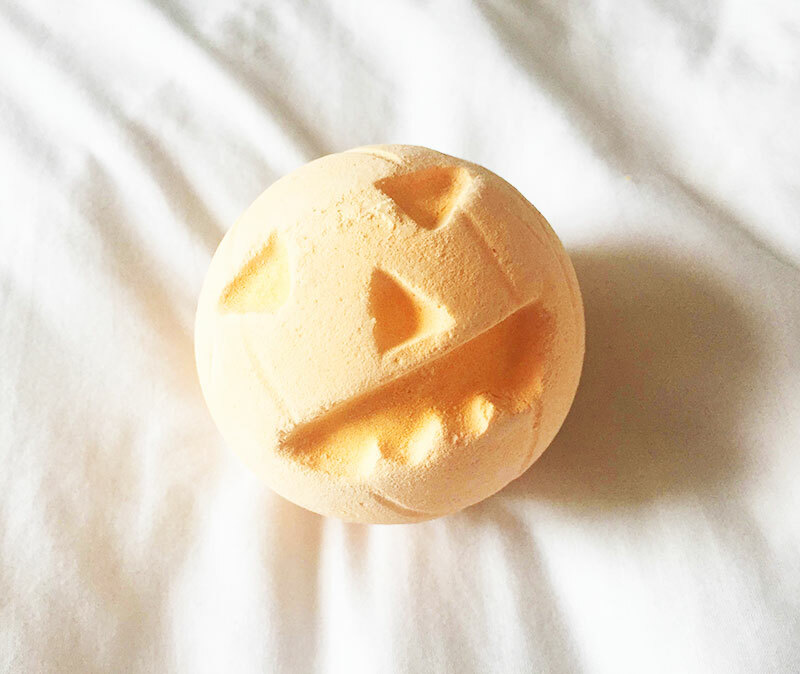 As you can tell I was a bit disappointed with Pumpkin bath bomb (mostly because of the oil) but besides that it's a nice treat to get you into the Halloween mood. 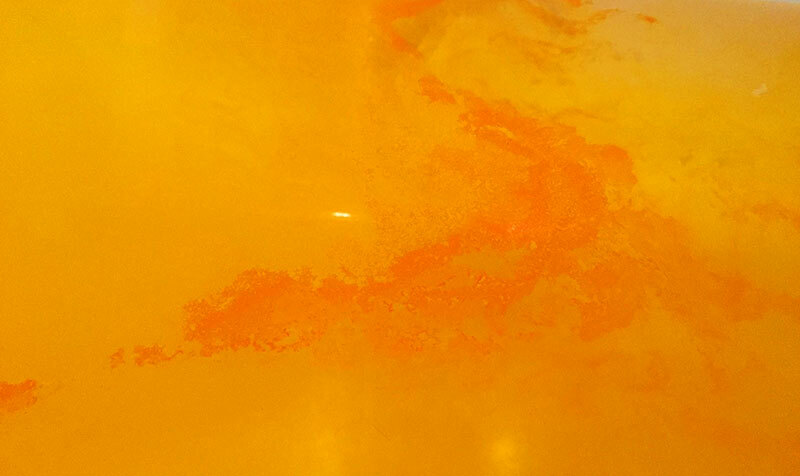 Lush bath bombs are so talked about. I have always wanted to try one. But I know when I do this isn’t going to be it if it stains.